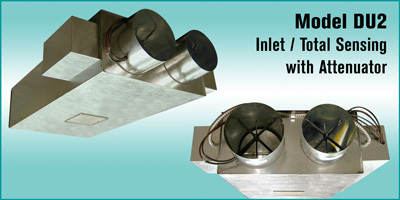 Maintain space temperature while maintaining air change rates or space pressurization, or meeting minimum ventilation rates. Flow sensor arrangements available in the inlets of the air terminal, and a flow totalizing sensor at the discharge, based on control strategy. 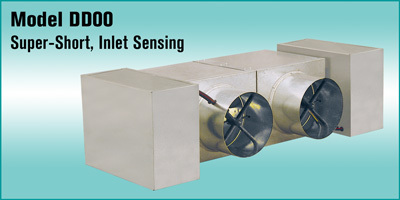 Control sequence may be inlet sensing only (I sequences) or combination inlet total (I-T) sensing (one inlet sensor/one total sensor). Available with a variety of control sequences for mixing and non-mixing application. Balancing taps / calibration chart included for field adjustment.